This Sunday Nyayo stadium will feature a crunch match between defending champions and Soafapaka. Gor Mahia cannot afford any slip ups. They are now placed 5 points behind league leaders Tusker who have played an extra game. Both teams will be highly motivated. 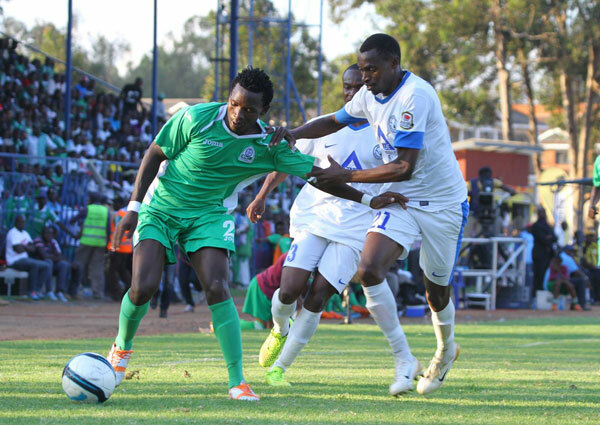 Gor Mahia have to keep pace with league leaders Tusker. Sofapaka are in 15th place and staring relegation in the face. They need to gather as many points as possible to have any hope of surviving the big chop. Though in 15th place, Sofapaka have shown a few flashes of their former brilliance, such as when they trounced City Stars 5-0. But they have been sub par in their last two games, losing 1-3 to Ulinzi and 0-1 to Posta Rangers. Gor Mahia for their part are on the recovery path and have won their last two matches. VIP tickets will be sold for Ksh. 500 while regular (terrace) will trade at Ksh. 200. Big Brother events and ticketing firm will be in charge of the process and fans have been warned that there will be no advance ticketing. Too sad that muhoroni went to afraha to hand maximum points to tusker. The first and second tusker goals were purely given out by muho goalkeeper and defense.. on two occasions the goalkeeper intentionally refused to dive on ball that were brought at angles that had he dived, the two goals would thwarted. The defenders were also too casual, playing higher away from their defense line and giving tusker strikers an easy task. On the other side, muho’s attack was not there at all. I insist it was an intentional lose as kanyang’onda noticed. KPL and FKL are the culprits in match fixing in Kenya Premier League in order to deny Gor Mahia victory. But we will wait and see the outcome of the upcoming matches. Shikalo was driven to Naruku in Tusker’s entourage and we can confirm this. I saw a Muho free kick in which after the ball was floated towards Tusker defence;on broad daylight a ball boy throws another ball to the pitch.Then muho goalie donated two goals without diving.Gor has to win all games and beat Tusker who will defend for 90min.Gor Must Win. Am okay with a draw the title is for Tusker’s to loose . Let’s start thinking of CECAFA cup and beefing the squad in December. Muhoroni Youth custodian Farouk Shikalo is on spotlight over ‘match fixing’ claims from fans after Friday’s league match against Tusker FC played in Nakuru. A win by the brewers against the sugar millers has left a number of agitated fans questioning Shikalo’s committment especially the manner in which his team conceded. The Awasi-based outfit swallowed in two quick goals within the opening minutes of first half with Shikalo ‘making less efforts to save his side’. Tusker winning was not a big deal though but the way efforts from Anthony Ndolo and George Mandela went past Shikalo is what has left fans begging for more questions. It is even surprising to hear that the keeper, who is a former Tusker player, was allegedly offered a ‘lift’ from Nakuru to Nairobi in the brewers’ team bus. Several fans took to social media after the final whistle questioning professionalism of Kenyan footballers with Shikalo in mind following his action of allegedly using the same vehicle with his rivals and especially after ‘donating’ two goals. Another one faced the player and advised him to tread carefully with objectives of playing past Muhoroni Youth in his career. However, Shikalo took to his social media account to thank God despite the defeat to Tusker with a photo of him and his colleagues. The victory increased Tusker’s points tally to 48, five above second placed Gor Mahia in the league. K’Ogalo are however, yet to play their 25th match and face Sofapaka on Sunday. Wishing GMFC all the best. I wish our players to be careful and responsible. There is life after football and believe you me if you mess up the same adoring fans will not be there for you when you are ailing physically or financially. The three players claimed in a Whatsapp conversation that they had banged a fan called Vic Thelma. “Anaglia maisha yako wewe,” that all Thelma had to tell her accusers. Maybe she’s not the stupid one here! Hehehe Ingwe, kumbe the wild cat’s are busy “scoring goals” elsewhere. Wow Muho headcoach is taking the club to second division why did they sack odijo? I also thought that Odijo was trying his best. But I am worried about Ingwe more than Muho. Forget AFC there is a “lethal striker” whose dribbling skills has left 3 of their first team players seeking medical attention for “serious injuries”.She’s called Vic Thelma “moto yakuotea mbali” And no,no Jasego please DON’T TRY TO SIGN HER! WISHING GMFC A WIN. As usual i sign off. LETS PUT ALL OFFICIALS ON A YEARLY WRITTEN PERFORMANCE CONTRACT WHERE THEY ENSURE THAT GMFC MUST : 1) QUALIFY FOR A CONTINENTAL TOURNAMENT 2) REACH AT LEAST THE SEMI-FINAL OF EVERY CECAFA TOURNAMENT WE PARTICIPATE IN 3) REACH THE 3RD ROUND / GROUP STAGES OF EVERY CAF TOURNAMENT WE PARTICIPATE IN. Am currently witnessing peculiar trends in goalkeepers since the advent of these gambling agencies. Look at Stima’s goal against Indeche, look at Brewkenge’s goals against Muhoroni. Now that Kogallo can only win the league by beating all the remaining teams, let us show them that it can be done. And guys, our noisy neighbours caused a fracas at Nyayo which Supersport aired only in part. That Akwana of a coach must have been incited by the fracas to speak such a sentence concerning players who only join Ingwe for salaries. Oh my! Proudly powered by WordPress	| Theme: greenxi by Colixio.